This race was a lot of fun. Great run just to do for fun! No pressure of speed and finish time! Just enjoy the weather and relax as you run in a large crowd! 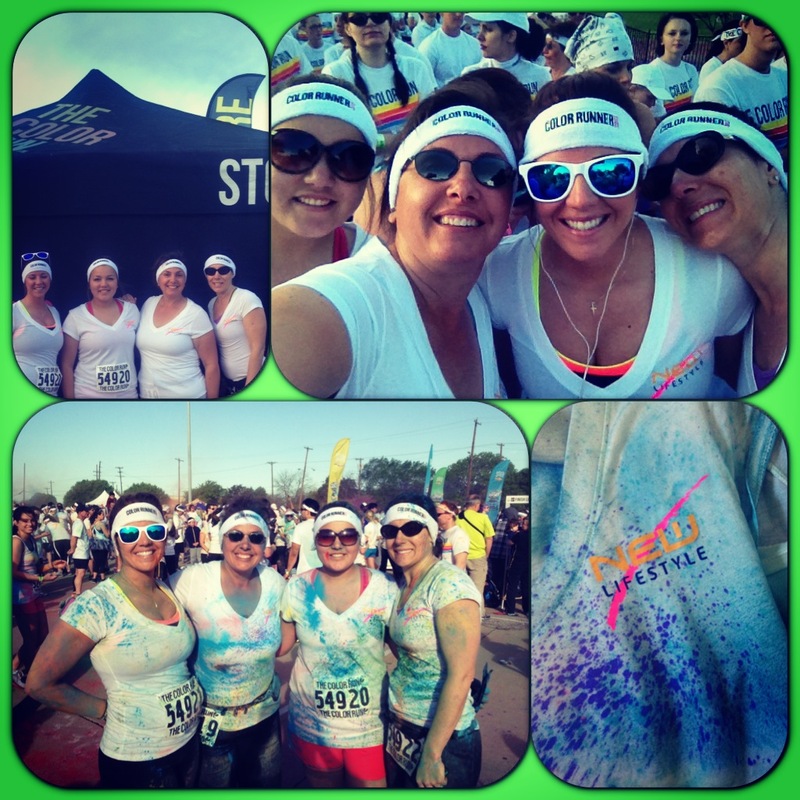 The run was well done and lots of color!! Team TKD consisted of Traci Davis, Laurel Cronin-Davis, Lacee Olsen and Suzi Whitman. The Color run was a lot of fun, and we all started out white and clean and ended with sprays of color all over us! This run was in Dallas, TX Fair Park 4-6-13. Thanks so much to our sponsor www.NewLifestyleDiet.com – Please check them out!! We love New Lifestyle Diet – great protein meals and diet plan and more. Was great to be part of helping the American Heart Association! !